a Western Holiday ~ Christmas A Go Go! 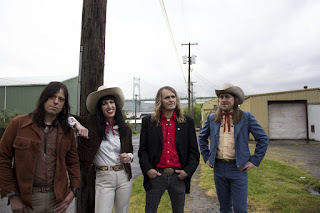 On the blog of our friend from Snowflakes Christmas Singles I discovered this great looking country single from Jenny Don't And The Spurs, from Portland, Oregon. The tracks, on coloured vinyl, sound like real c&w. But the funny thing is that all the band members have a punk background. 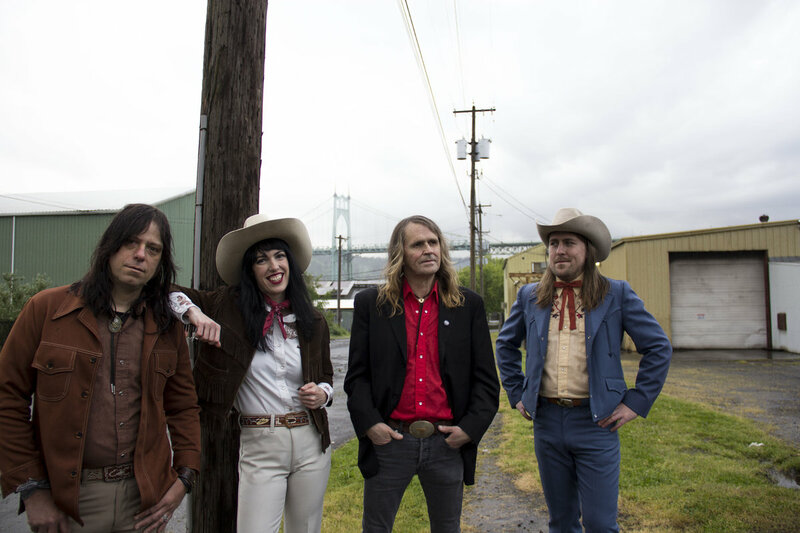 The singer has her own punk band Don't and other members played in bands like the legendary The Wipers or Poison Idea.